﻿ Holiday Auto Theatre - Ohio. Find It Here. 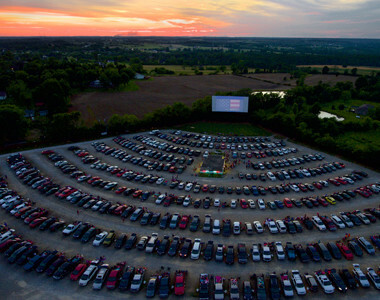 The Holiday Auto Theater is a staple of Butler County, Ohio that has been treating audiences to double features from the comfort of their own car, for over sixty years! Holiday Auto Theatre opened in 1948 under the name, Hamilton Outdoor Theater. This classic family fun continues today with blockbuster hits all summer long. A concession stand has all your movie snack favorites, so get a big bucket of popcorn and watch the silver screen under the stars.